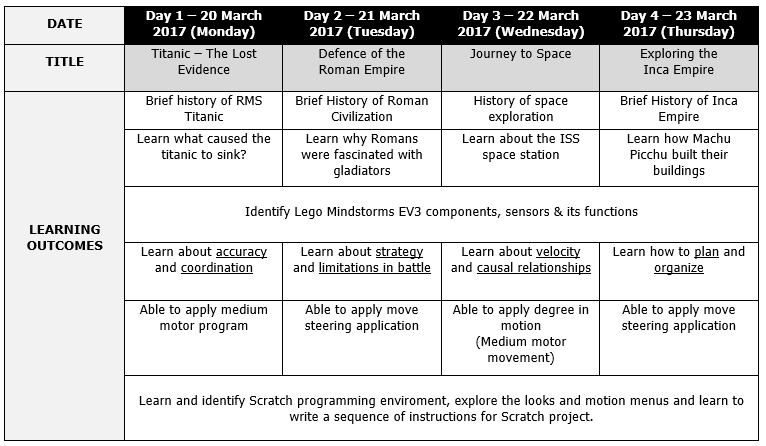 To make it easier for you to get the low down on what to do with the kids during the school holidays, we have put together a summary guide to our popular Robotics School Holiday Workshop! Lunch and certificate are provided. During each of the workshops they will get an opportunity to enjoy hands-on construction and coding activities that strengthen their knowledge of Science, Technology, Engineering and Mathematics (STEM) in a themed setting.